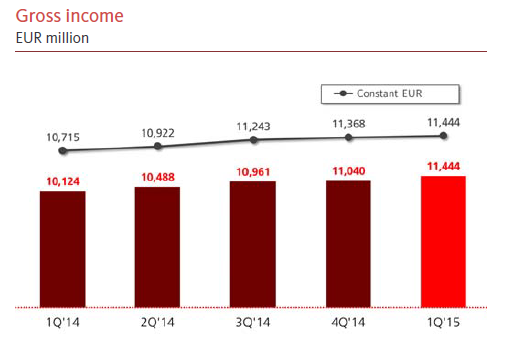 Santander presented earnings 32% higher year over year. The results indicate that Santander is clearly on a normalization cycle. As I said before, the return on equity will be lower than during the pre-crisis period for the whole industry – this was a major structural shift. Improving customer loyalty and engagement with the bank. A better franchise able to capitalize on the huge clients base will bring in higher profitability. Improvement in capital allocation that provide adequate returns and allow lower NPL’s. One example is the joint-venture with Pioneer for an Asset management unit. This seems a good strategy, since the financial leverage from pre-2007 is no longer available, the improvement in performance has to come from the real business. Getting the best customer through better services is the answer to get a better yield from the banks’ asset base. 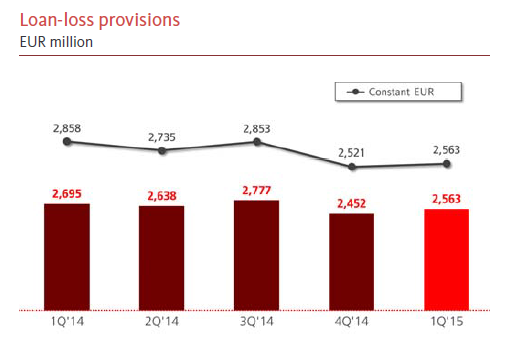 Bottom line: Good results for Santander, in line with the expected progress for the normalization of the bank’s results. In the following quarters, I believe this trend might continue.